After years of enormous work we are finally close to completion of our third album! Become a part of its creation and preorder the upcoming album right now! Thank you very much for your support in advance! SHARE if you can!! 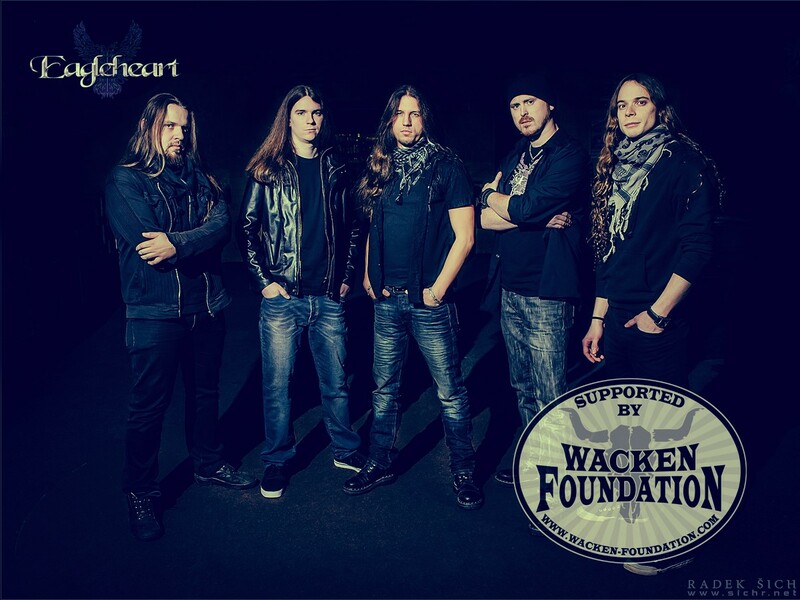 We really happy to announce this: our upcoming album is being supported by a non-profit organization Wacken Foundation!! Thanx a lot guys, it really means a lot to us and triggers our motivation to work even harder! 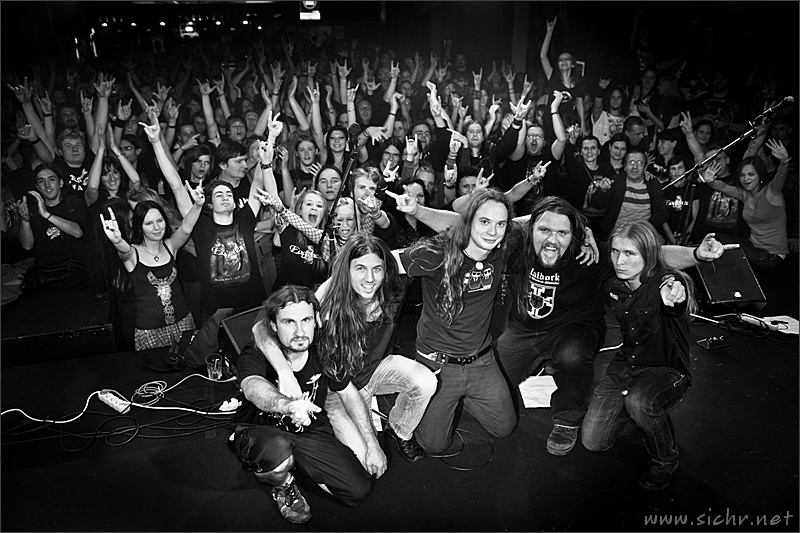 24.10.2014 Check out the pictures from Made Of Metal!! Our last festival weekend for this year is over and it was a blast!!! Thanx a and hope to see you at one of the future MOMs again!! We got a big news for you!! From now on we are under wings of a French booking agency called Rock City led by experienced Jeep Moncorger, who has worked with names like Freedom Call, After Forever etc.! Our colleagues in the agency are amazing bands like Secret Sphere or Almah!! Europe, get ready for us!!! Share and Support, please, thank you guys!! From now on you can help us by clicking on the "Donate" button on our website http://eagleheart.eu/en/news.php or simply by sending us money on via our Paypal at eagleheartband@centrum.cz. We have prepared a special gifts for those of you who would like to contribute with a concrete amounts of money, take a look at this ;) Just enclose your shipping address. Of course, you can help us by sending us whatever amount of money you like, we appreciate each one €!!! Thanx a lot guys for helping us in this situation, it’s not easy for us to ask you about it. Our show at METALFEST is over and though we opened the festival day in a heavy rain, a lot of people came to see the show and party with us!! Thanx to all of you guys, we have really enjoyed!! See you next time!! Check out the pictures at our Facebook profile!! Check out the new items in our updated SHOP section and order!!! It's been quite a long time since the last updates so it's time to bring some news for you!! First of all, on 16th of March we celebrated 10th birthday of EAGLEHEART in our hometown Brno and it was a blast with almost 400 headbanging crazy people!! This show will stay in our memories forever, so thanx everyone for coming! You can check some pics from the show on our Facebook profile. Another importnat thing we have been confirmed to appear at the Czech METALFEST 2013 in Pilsen along with bands like King Diamond, Sonata Arctica etc.! Our D day is June 1st so hope to see you there, guys!! The last thing is we are starting to fully concentrate on the next album. About five song are more or less done and we promise you're gonna like it!! :) But still a long way to go for us. Hey guys! We have just just been confirmed for the opening slots on 5 concerts on the extensive European Tour of the mighty DRAGONFORCE!!!! We think this is just a perfect package. and we are very much looking forward to share stages with DRAGONFORCE in the Czech Republic, Slovakia, Poland and Hungary!!! Get ready for us!!! 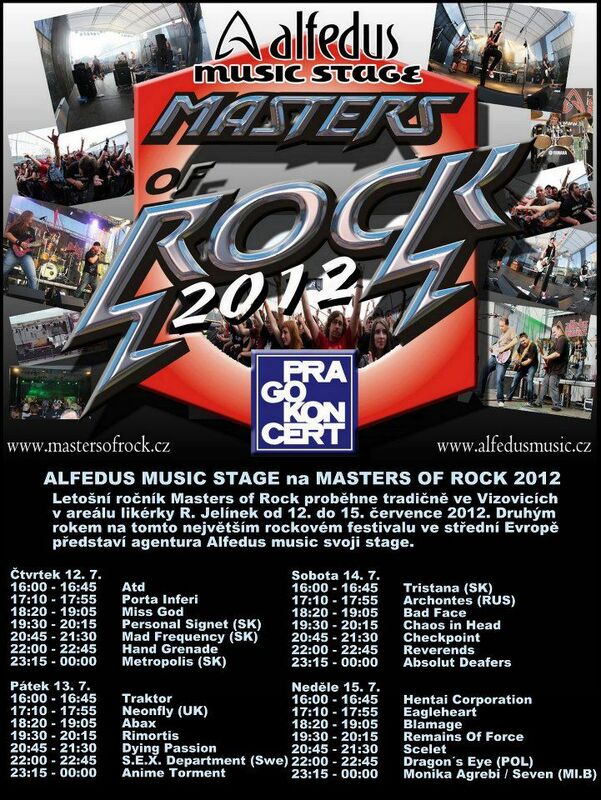 We are looking forward to Masters Of Rock 2012!! The time of our show at Alfedus Music Stage is 17:10-17:55!! We hope to see you all there, it is going to be one our last shows with singer Vojtěch Šimoník who is goig to leave us for a lack of time for the band, so don't miss that!! 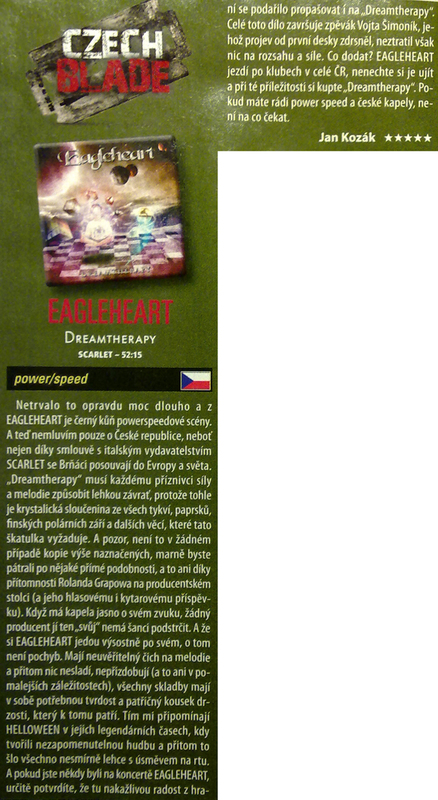 Very well known czech power metal band EAGLEHEART is one of the top metal artists of the Masters Of Rock homeland, Czech Republic! 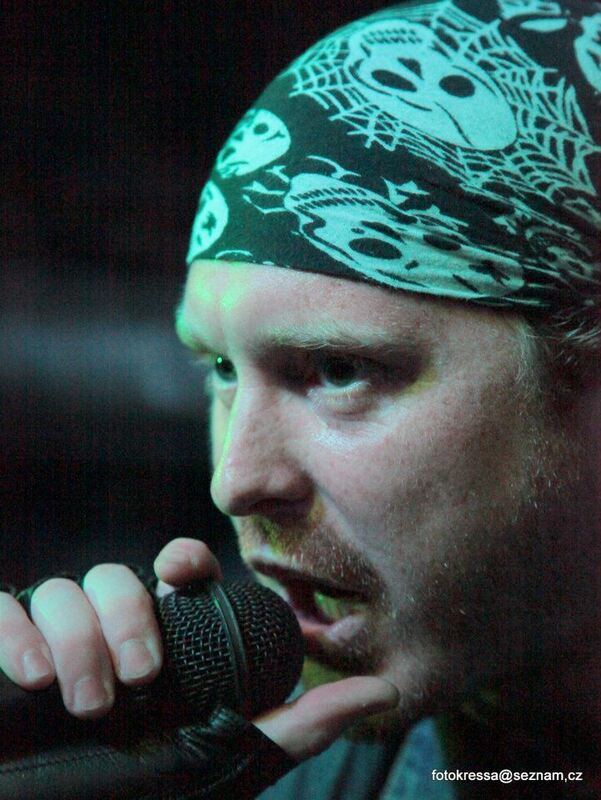 Last november they released a new, their third album under production of master Roland Grapow, called "Dreamtherapy". The album is very successfull in the whole Europe. 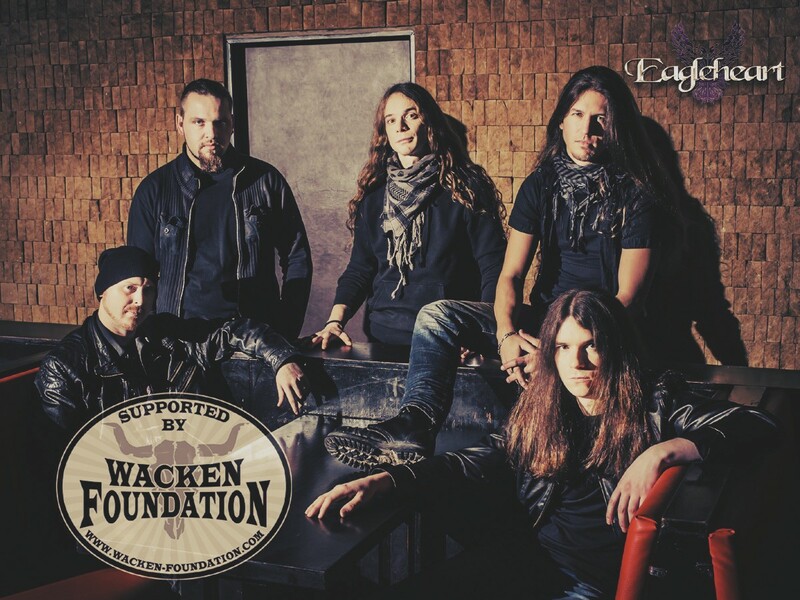 Come to see this popular and sympathetic band at Masters Of Rock, second Alfedus Music Stage! (12. - 15. 7. VIZOVICE, R. Jelinek´s distillery area)! So, it is official!! 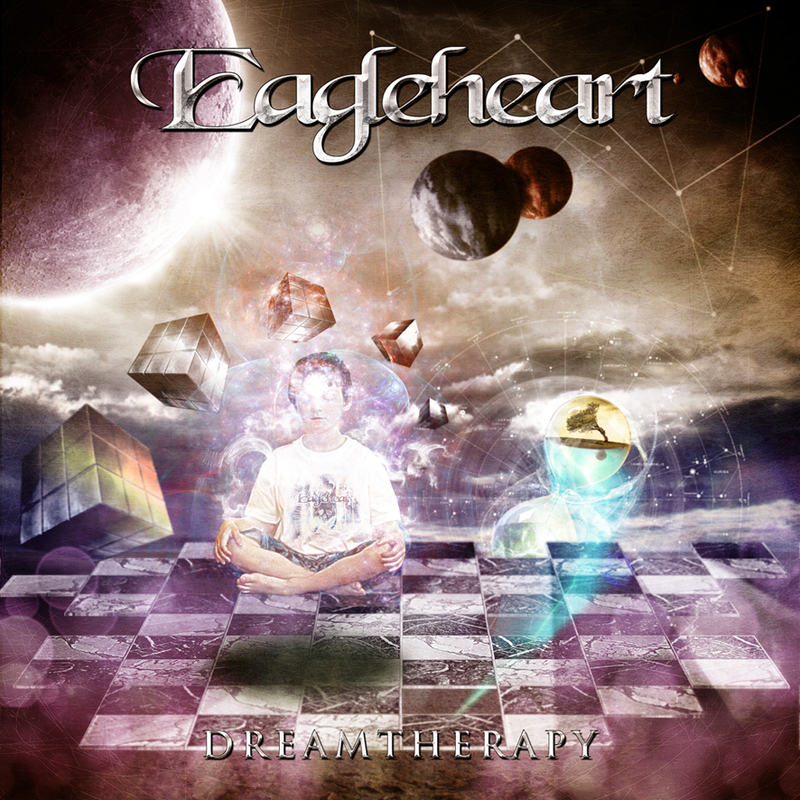 Dreamtherapy is going to be released in Japan on 22nd February 2012 via Rubicon Music!!! The Japan edition will include two bonus tracks - a music video for Moment Of Life and a live version of Dreamtherapy!! We would like to remind all our fans in the USA that "Dreamtherapy" has been officialy released in there, so be ready to get your copy in your store!!! A review from the December issue of the biggest Czech metal magazine SPARK, 5/6!! And in the actual January issue you can find an interview with Michal Kůs!! V January issue of the biggest Czech rock magazine SPARK you can find an interview with Michal Kůs!!! Another thing is some new reviews of "Dreamtherapy are online! Metal Express Radio a Metal Temple!! Happy birthday to our bass player Jiri "Wagner" Fiala!!! Check out some new reviews of Dreamtherapy at www.irockshock.net, Metal Shock Finland a www.lordsofmetal.nl!! The title song of our new album "Dreamtherapy" online on our YouTube channel!!! New reviews of "Dreamtherapy" at www.hardrockhaven.net, www.thedailystab.guitarepirate.com, www.pavillon666.fr, www.dangerdog.com a www.xplosivemetal.com. Today is the official release date of "Dreamtherapy" in Europe!! You can order the album via our email dreamtherapy.cd@gmail.com for 10Euro + shipping!! Have a look at the picture from the baptism of "Dreamtherapy"! !